A Canadian reviews the last two months’ North Korea news with a special guest. Andrea talks to Scott LaFoy for a whirlwind tour of December and January’s developments. They cover Kim Jong Un’s New Years Address, the Vancouver Foreign Ministers Meeting, and those pesky ship-to-ship transfers the North Koreans are so fond of these days. Andrea’s pre-mortem of the Vancouver Meeting at Arms Control Wonk. Andrea’s discussion of the Olympic exchanges and negotiations over at The Diplomat. 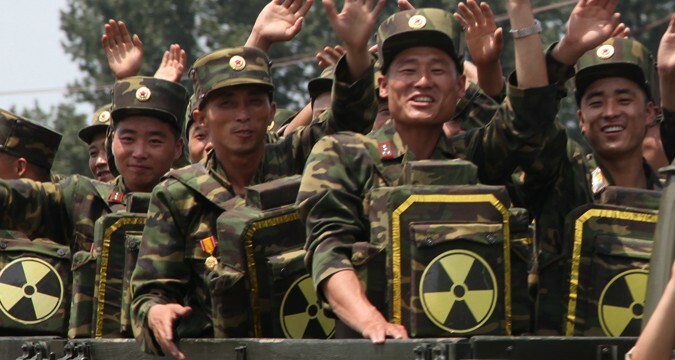 NK News imagery of the nuclear backpacks from the 2013 parade. Scott and Fyodor Tertitskiy’s NK Pro article on the Olympic Negotiations. Full text of Kim Jong Un’s ‘op ed’ in KCNA/Rodong Sinmun. VOA link, safe for clicking in South Korea! Our sponsor this episode is ActionKit, a powerful suit of online campaigning tools.